Scooters are a fun way for kids to get from point A to point B and can also help promote skills such as balancing, spatial awareness and risk management. They are also an exciting way for little ones to get their recommended daily exercise. Like other wheeled toys though, they can be dangerous without the property safety precautions. When riding a scooter, children should always wear an approved helmet and additionally should consider wearing elbow and knee pads as well as wrist guards or mouth guards. Goggles can help to keep debris out of youngsters’ eyes at higher speeds, especially on electric-powered scooters. It’s advisable to ride scooters on smooth, paved surfaces away from the danger of motor vehicles. Whenever possible, avoid gravel and sandy surfaces, as well as sharp bumps, drainage grates, and riding in wet weather. Wear clothes that will ensure you are easily seen and avoid riding at night. Parents should help their children until they become operating the scooter on their own. Replace broken or worn parts at the first sign of damage. Always be sure to check your state and city’s local bylaws for permitted use of scooters and obey all applicable traffic and scooter riding laws. In no particular order, here are 50 of the scooters we consider to be the safest, based on available features and average customer reviews and ratings. 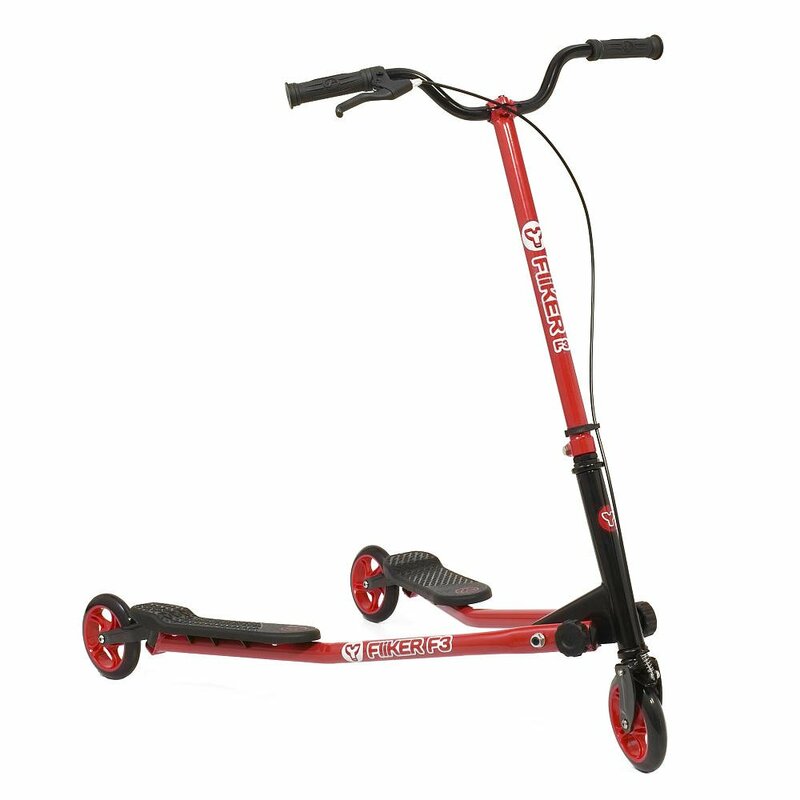 This popular kick-style three-wheeled scooter is ideal for youngsters between the ages of 3 and 5 and comes in a variety of colors to please nearly anyone. All of its parts can be replaced as well so the unit should last for years. 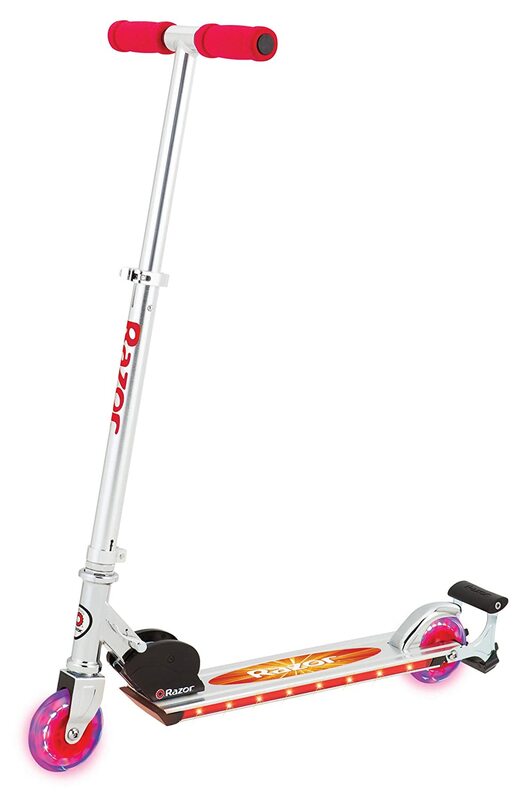 Ideal for children from the age of 6 to 10, this scooter features a special learn-to-steer mechanism that allows youngsters the feel of “cruising the sidewalks” while also being stable and easy to use. 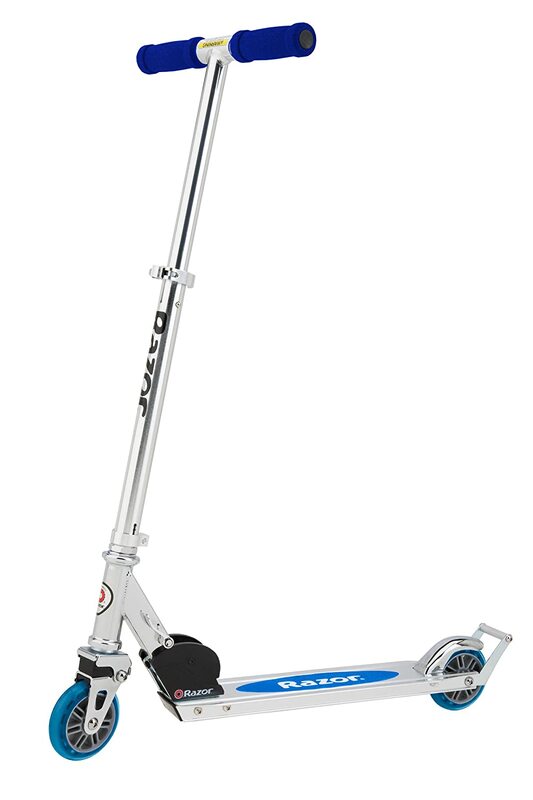 Made from aircraft-grade aluminum, this classic kick-style scooter offers a smooth and easy ride for children from age 5 and up, weighing up to 135-pounds. Plus it’s available in multiple colors to please nearly any youngster. 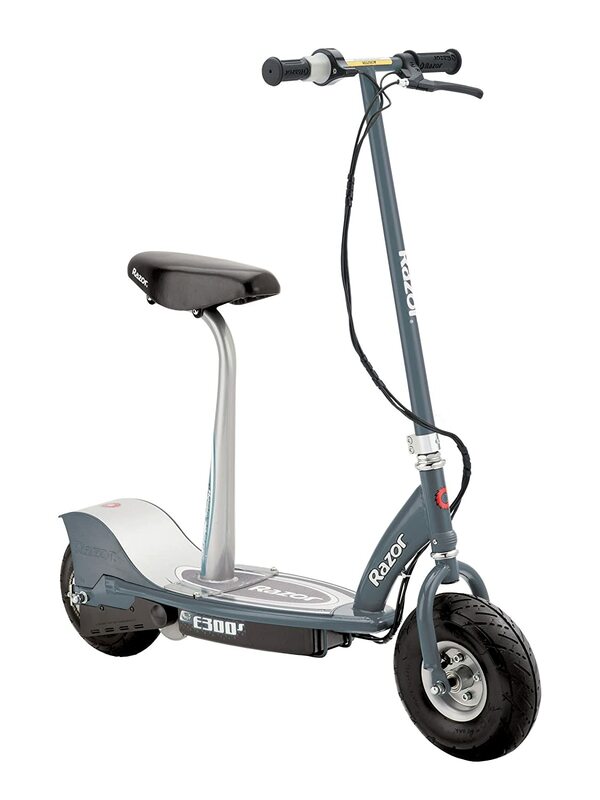 The Razor A2 kick-style scooter boasts sturdy aircraft-grade aluminum construction and patented easy-fold design that makes it easy to store and transport. You can also choose from multiple colors that are sure to please your little cruiser. 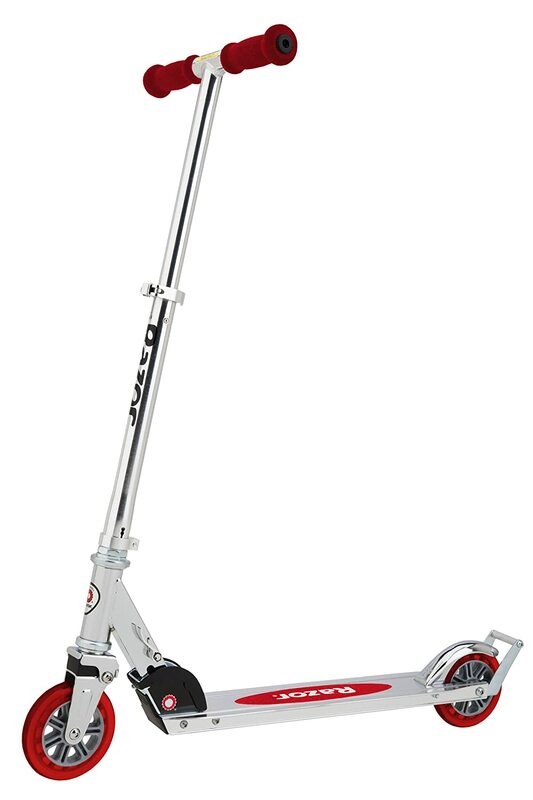 With a sturdy aircraft-grade aluminum construction, this kick-style scooter folds for easy transport and weighs just 6 pounds. Choose from one out of the several colors to suit your child’s personality. 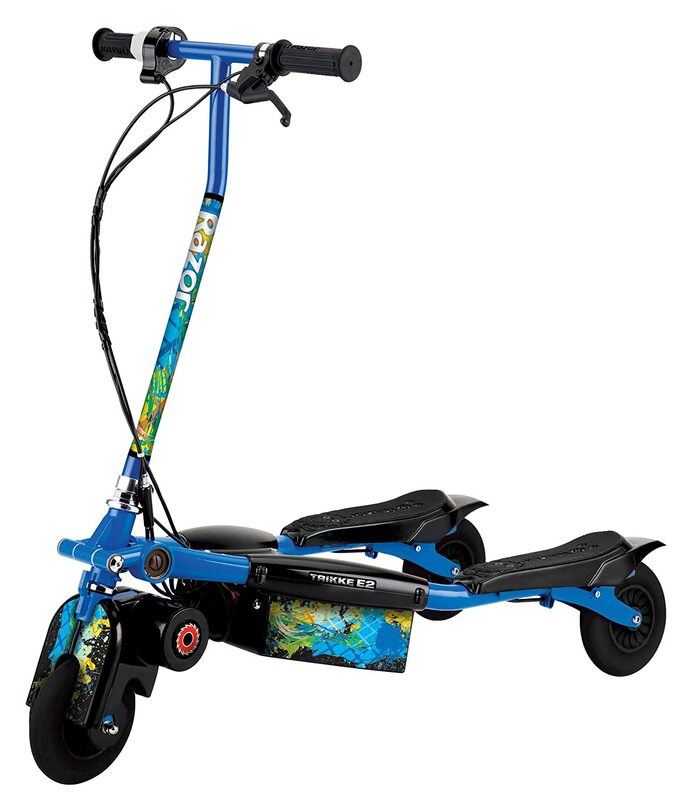 This stylish kick-style scooter comes with more than 50 stickers and 10 fashion bands that are customizable to help your youngster make their own wheels. Suitable for children weighing up to 150 pounds. 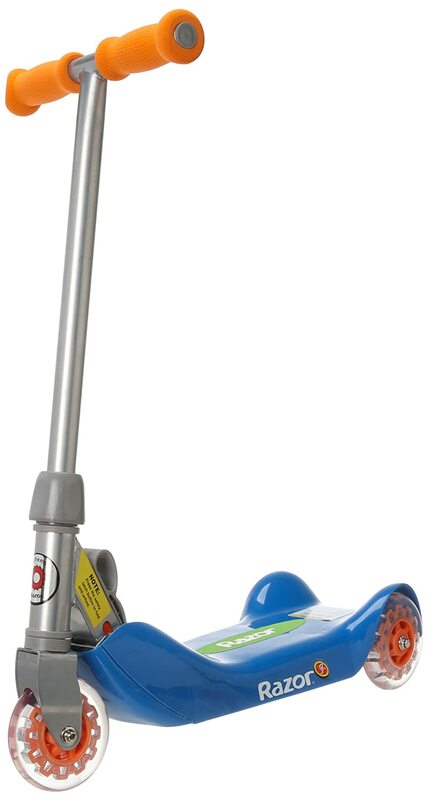 This scooter features a 3-in-1 design that grows with your child to provide a fun, ride-along experience from your child’s first year until the age of 5. It features a sturdy design that’s easy to assemble, so parents love it too. 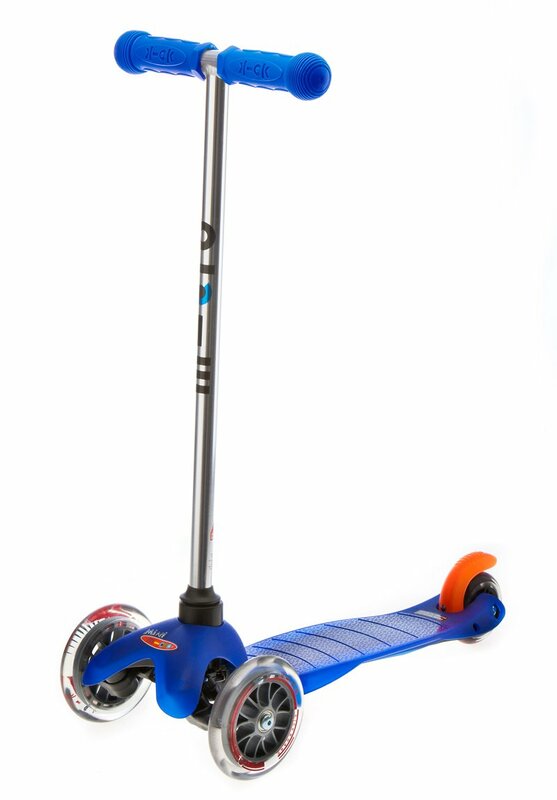 Kids get a kick out of performing tricks on this scooter that features rear caster wheels to help move the scooter forward with a simple twist of your child’s feet. 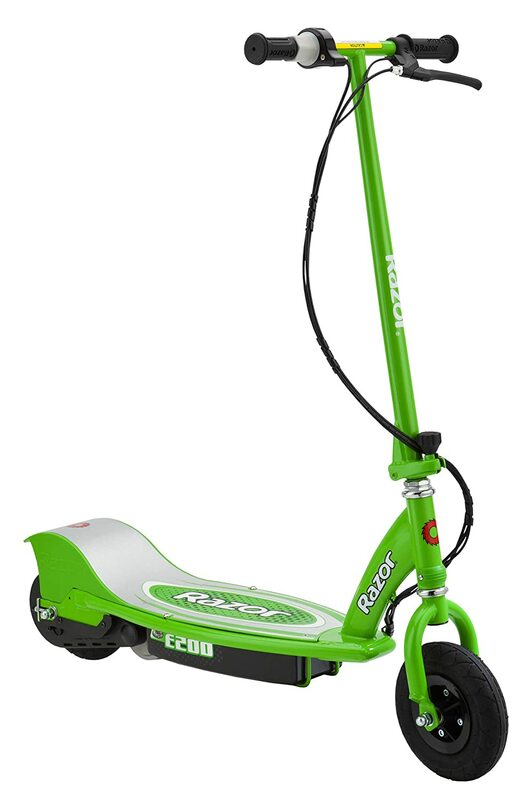 This scooter is suitable for ages 6 and up, weighing up to 143 pounds. 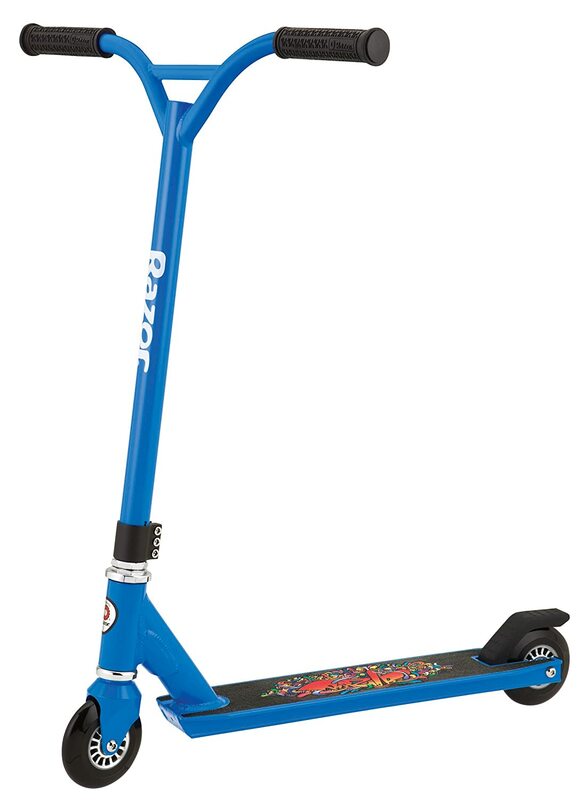 The style and design of this kick-style scooter make it a popular choice among youngsters, and is suitable for those from age 5 and up, weighing up to 143 pounds. The unit folds easily and quickly for ultimate portability, and is light enough to carry. 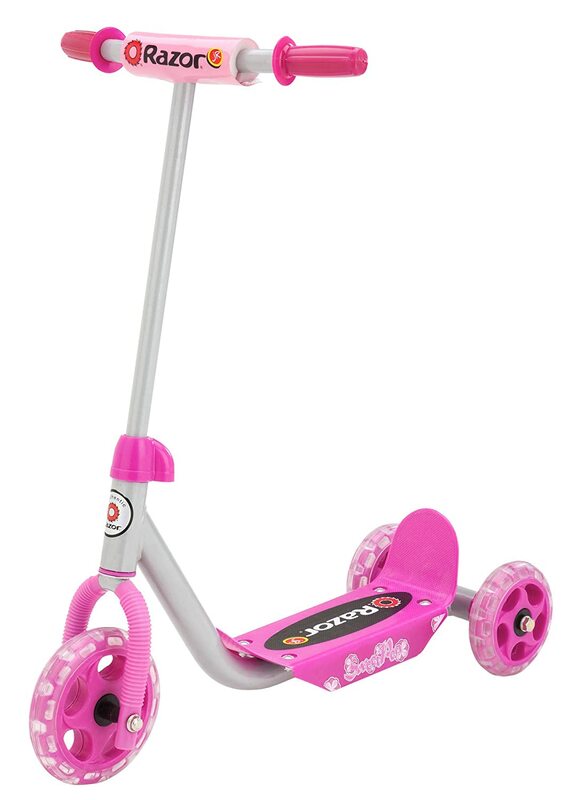 Suitable for children from ages 6 to 10, this scooter’s polyurethane wheels ensure a smooth ride on any surface. Plus, all parts are replaceable, so this scooter will outlast even the toughest rider. 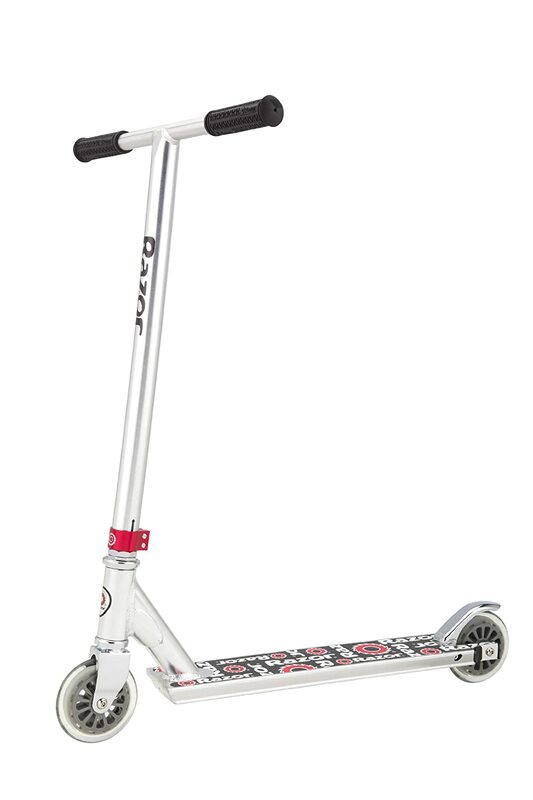 Suitable for children ages 5 and up, this kick-style scooter features a sturdy design for even the toughest riders. Plus, the motion-activated LED lights that are built-in under the board provide added styling and flare. 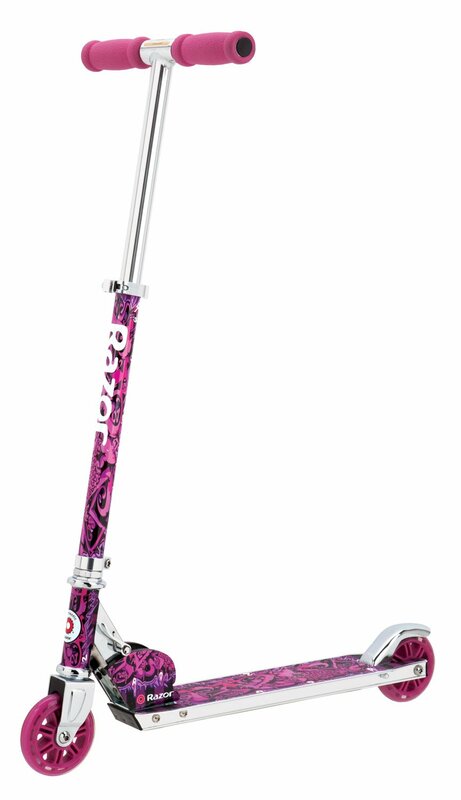 This limited edition kick-style scooter features a graffiti design in a choice of two colors that provides an added edge to the model’s styling. It also boasts an easy fold and carry design, making it perfectly portable. This three-wheeled scooter features a lean-to-steer design that makes it an ideal choice for younger riders just starting out on a scooter and who are still perfecting their balance skills. Its wide deck provides even more stability for little cruisers. This ultra tough scooter has not only been designed by professional riders but put through its paces as well to ensure the ultimate in construction and durability. Super thick handles, as well as grip tape along the deck, provide additional comfort. 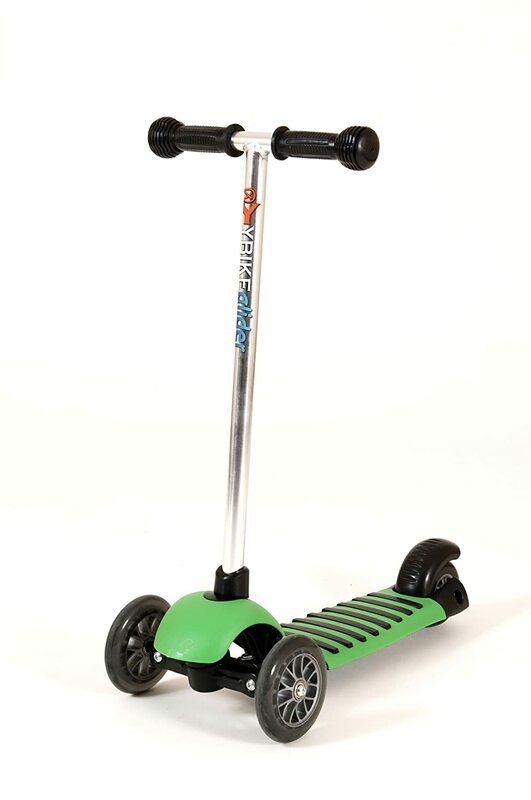 The Micro scooter is ideal for the young and the young at heart thanks to its 220 pound weight limit and large polyurethane wheels that provide a comfortable ride with minimal effort. Choose from two colors to suit your personal style. 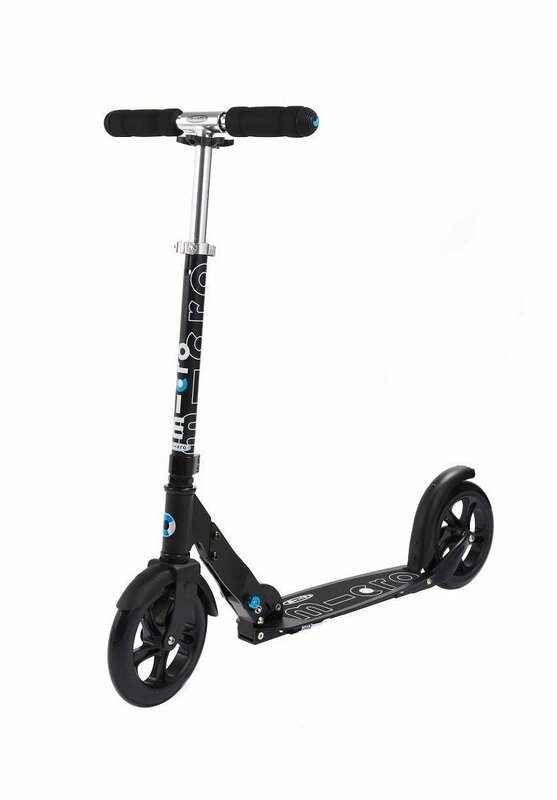 Available in three color choices, this kick-style scooter features a hidden internal compression system for a smoother, more comfortable ride. 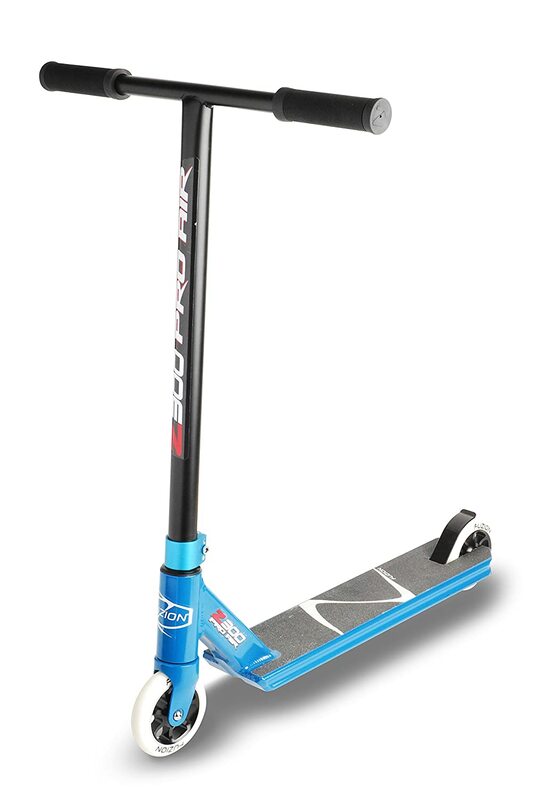 Integrated grind rails allow the rider to perform tricks and fun moves with ease. 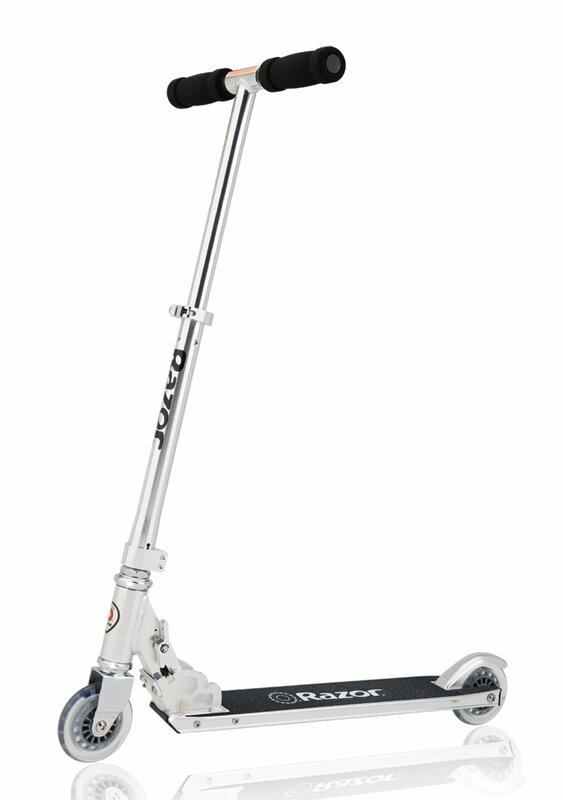 This kick-style scooter is suitable for use in competitions and at the skate park for the most serious of riders, right out of the box – no modifications or additions necessary. Built by professionals, it can stand up to anything you throw at it. 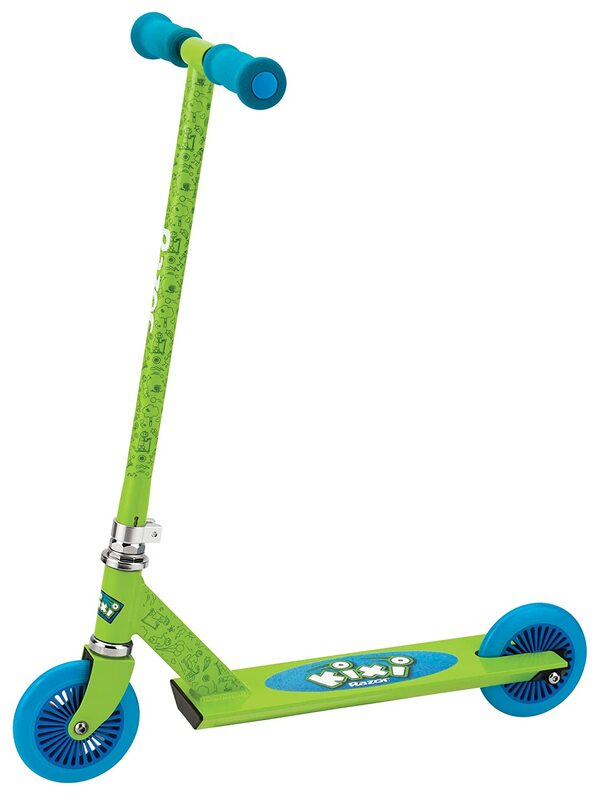 Available in a choice of two color options, this three-wheeled kick-style scooter is perfect for the littlest of riders who are still learning to master their balancing skills but don’t want to be left out of the fun. This electric scooter provides a smooth ride for more experienced riders and can reach speeds of up to 15 mph. 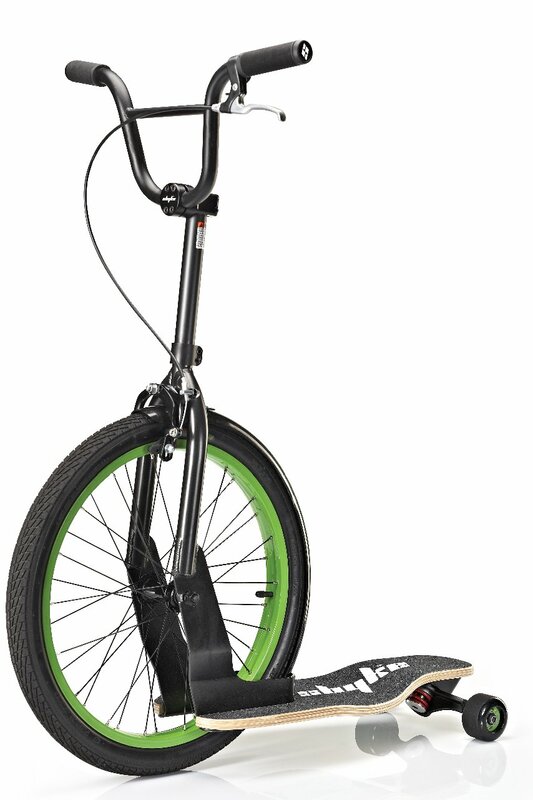 Thanks to its rechargeable battery, it can provide you with up to 40 minutes of ride time on a single charge. 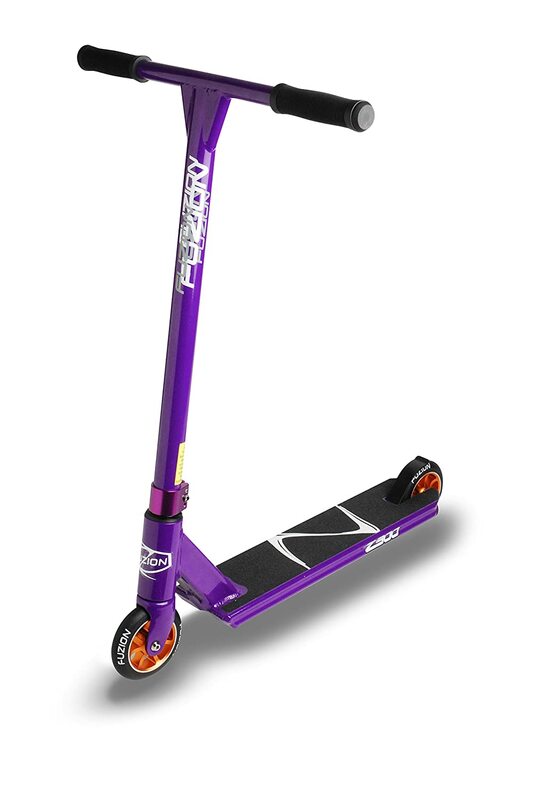 A fun new twist on the traditional kick-style scooter, this unit features a side-to-side riding stance that allows for better carving and drifting without sacrificing comfort. There’s even an adult version in case mom and dad want to join in on the fun as well. 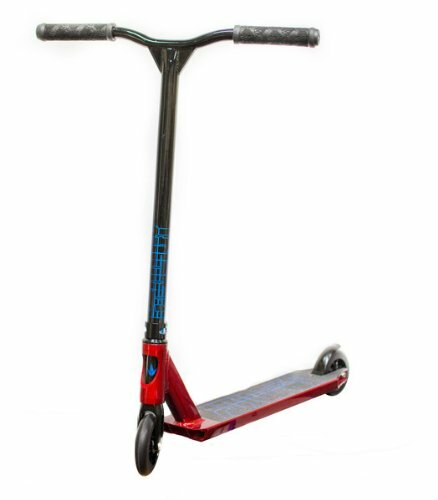 Ideal for ages 8 and up, weighing up to 143 pounds, this kick-style scooter lets riders drift sideways with ease, twist to propel or like a traditional scooter for hours of outdoor fun. 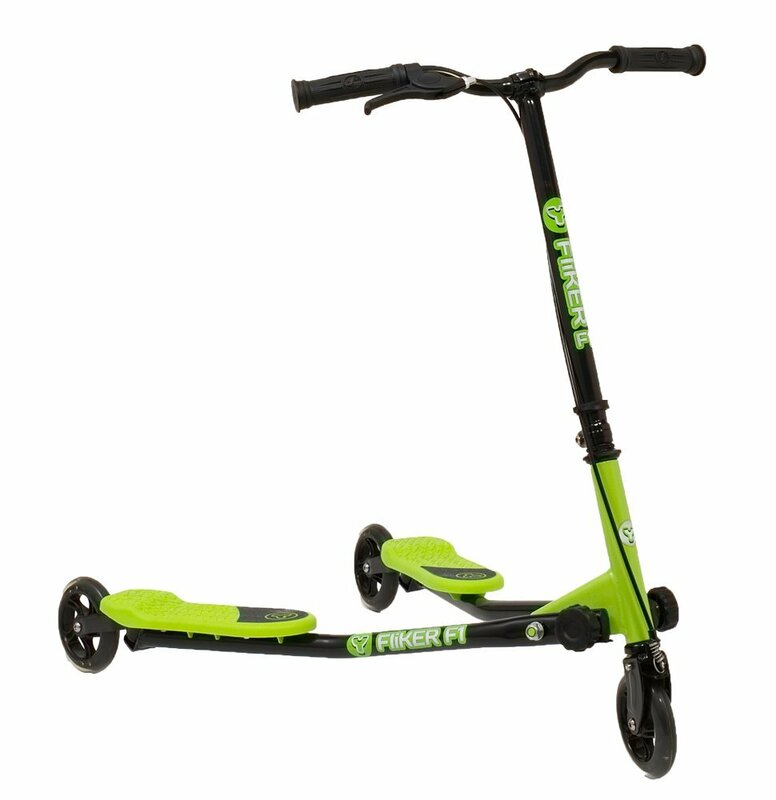 Available in a variety of bright, fun colors, this kick-style scooter is suitable for those aged 5 and up, weighing up to 143 pounds. Thanks to its lightweight construction and sturdy design, it’s a popular choice for those looking to carve some pavement. This electric scooter boasts an ultra-quiet motor controlled by a twist grip throttle that provides up to 12 mph of speed to get you where you need to go on time. Suitable for those weighing up to 154 pounds, its pneumatic tires provide a smooth ride no matter the surface. 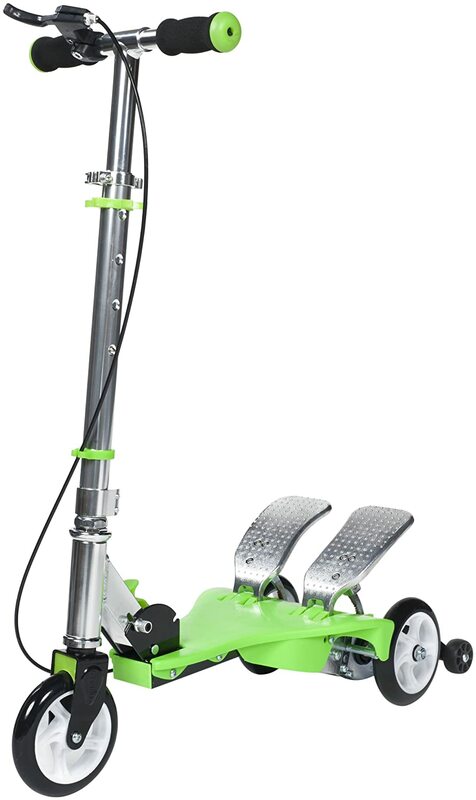 This electric scooter comes in a choice of wattages to provide you with the power you need. A built-in shock system provides a smooth, comfortable ride for riders weighing up to 250 pounds. 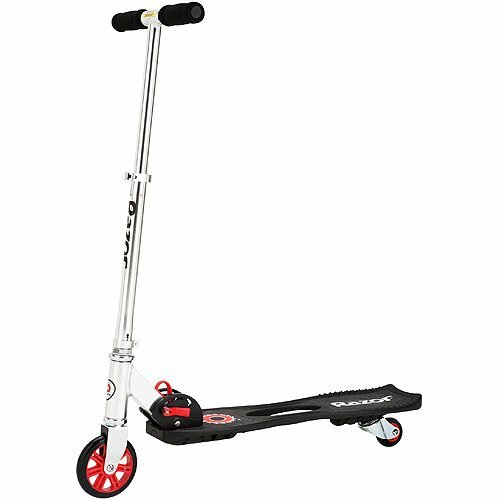 This kick-style scooter converts from a three-wheeled model to two-wheeled unit quickly and easily to provide added stability or challenge to your little rider. Choose from two bright and bold colors to suit your child’s personality. This electric scooter features a high-performance motor that provides riders with speeds of up to 15 mph. Its ultra-quiet motor is controlled by a twist grip throttle on the handle as is the rear brake system. 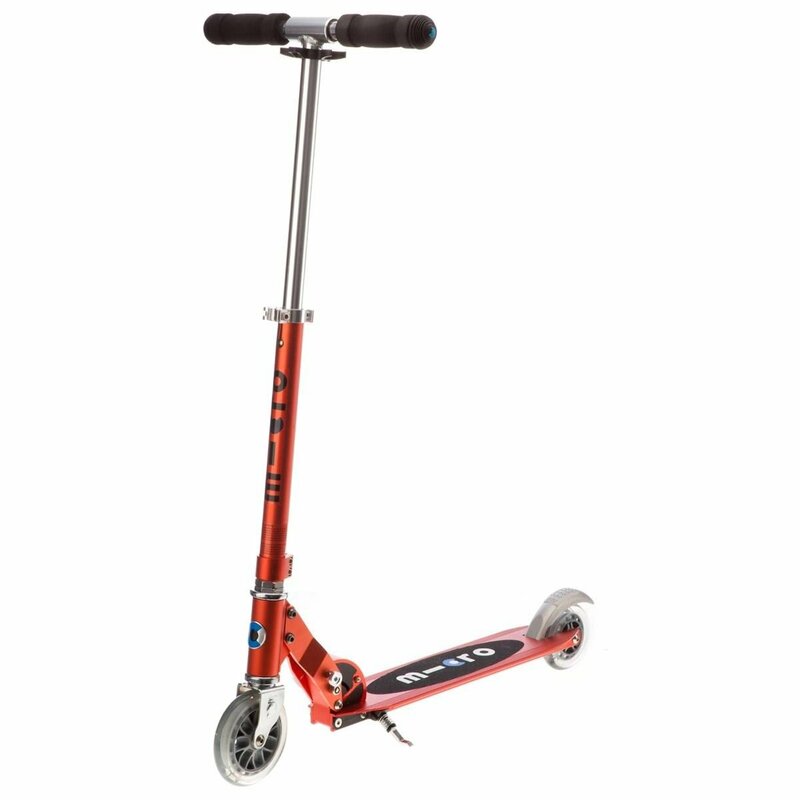 This professional-grade kick-style scooter has been built and tested by the pros to ensure the ultimate in durability and performance, without sacrificing on design. 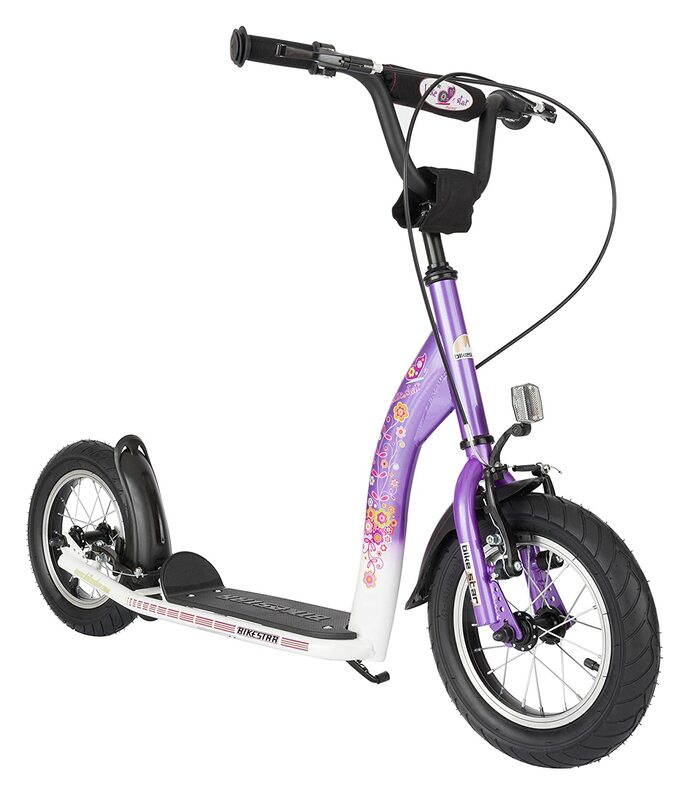 Thanks to its lightweight yet durable construction, you can take this unit out on the toughest of rides no problem. 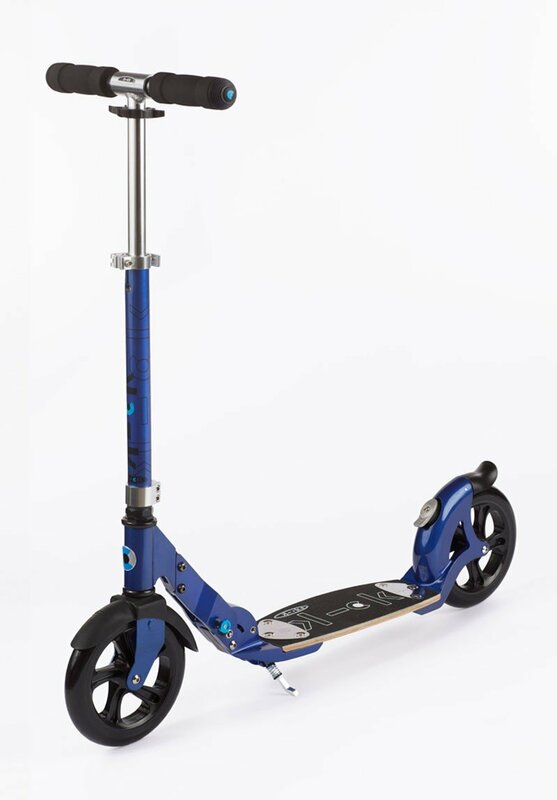 This kick-style scooter allows youngsters to cruise with ease thanks to its flexible wood laminate deck that is both weight absorbing and extra wide to provide a secure and comfortable ride. Keep in control thanks to Razor’s patented rear fender braking system. 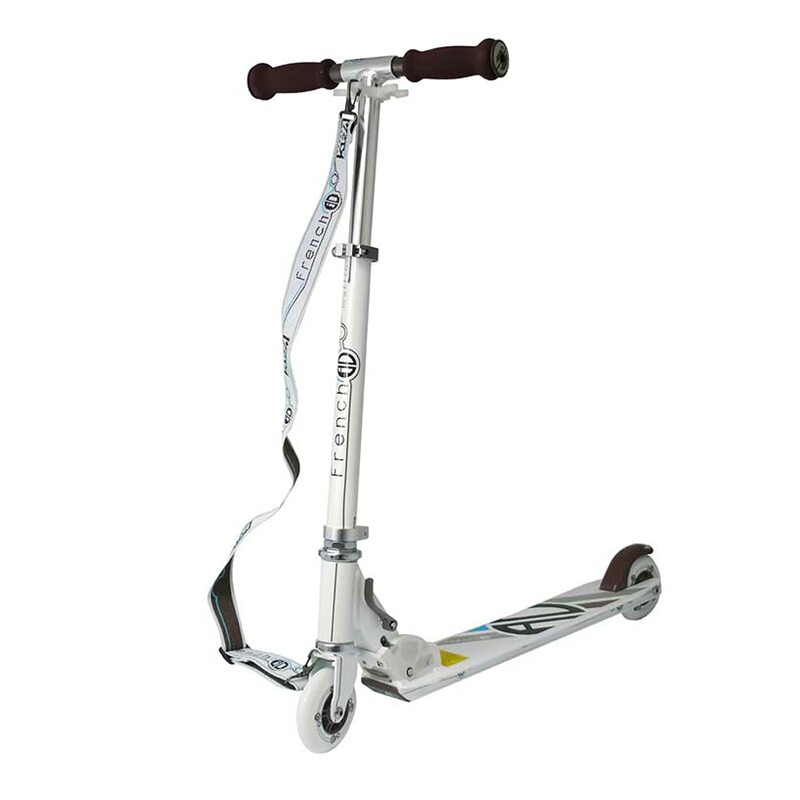 This kick-style scooter offers a unique riding experience thanks to its specially-shaped deck that comes with texturing and contouring to help provide a non-slip gripping surface. Suitable for ages 8 and up, weighing up to 143 pounds. This Micro Sprite offers a sleek design in a wide variety of colors to suit nearly any rider’s personal style. 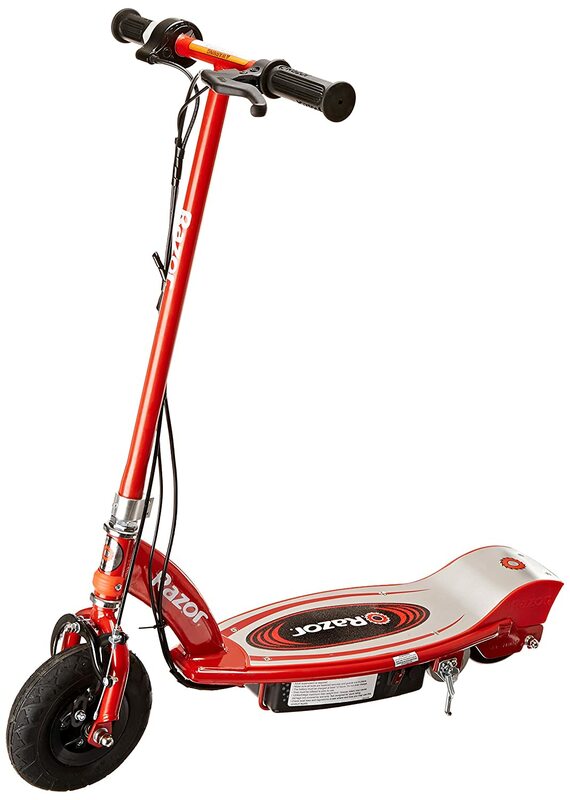 Suitable for ages 8 and up, this scooter’s Italian-made wheels provide the ultimate smooth and comfortable riding experience. 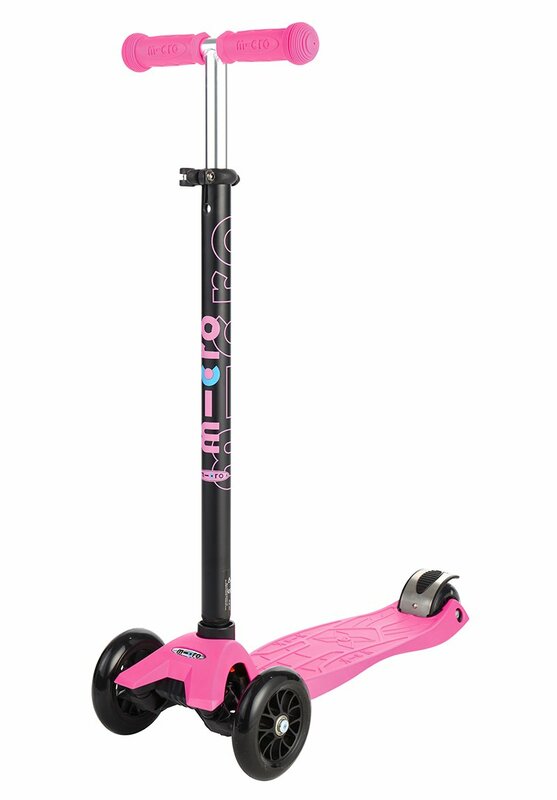 The Lil’ Kick is a great way to start off younger riders thanks to its three-wheeled design, which provides added stability to those still working on those balancing skills. 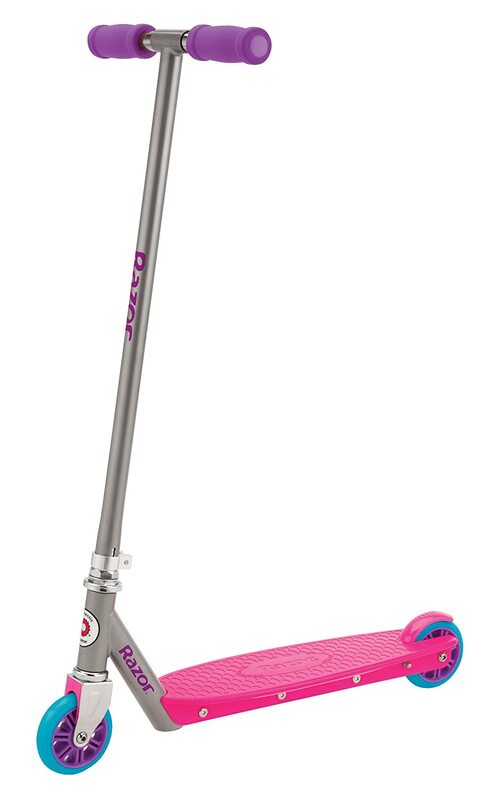 A low deck and wide board provide added stability and make for easy scooting. This sweet ride operates in much the same way as a stair climber, with the operator controlling the speed of forward propulsion by way of two rear pedals. Reach speeds of up to 10 mph all while getting in a low-impact cardio-style workout. 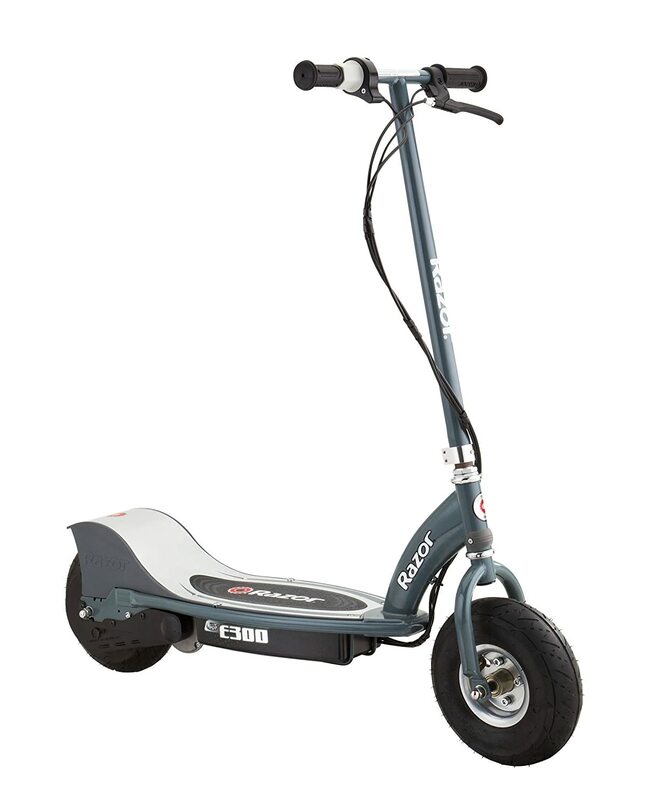 This electric scooter is available in a wide variety of color choices to suit any rider’s personality and features a simple kick start motor that provides enough power to reach speeds of up to 10 mph. 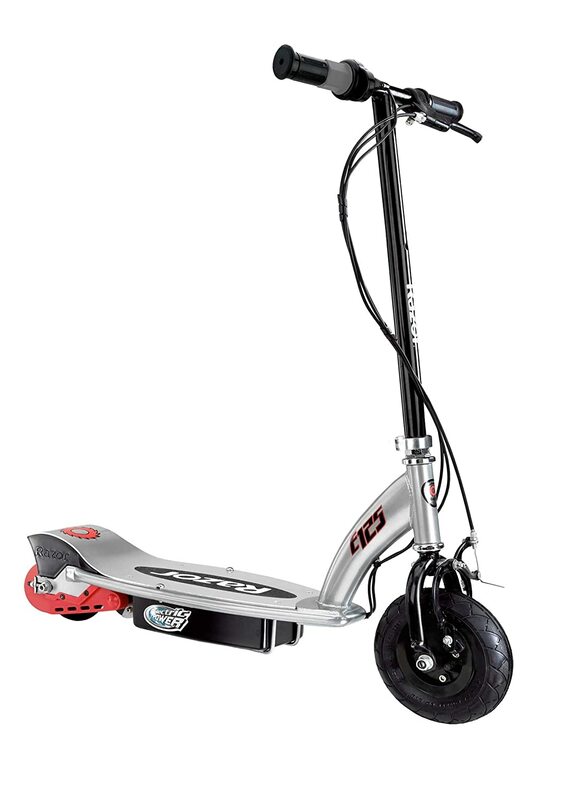 This sleek-looking scooter boasts a fully sealed headset with comfort grip handles and a one-piece aluminum integrated deck for increased stability. Not only does this scooter look great, but it’s also well-built. The built-in shoulder strap and multi mount clip make for easy carrying when you’re done your ride. Suitable for ages 14 and up, weighing up to 220 pounds. This electric-powered scooter features a three-wheeled design and two cambering platforms for added stability and lean-to-steer carving. You can easily reach speeds of up to 9 mph while getting 40 minutes of continuous operation on a single charge. This German-designed scooter boasts a sturdy build thanks to its steel tube construction and12-inch air-filled tires. Suitable for those aged 7 and up, it’s easy to assemble in just about 10 minutes and features certified non-toxic safety steering wheel handgrips. 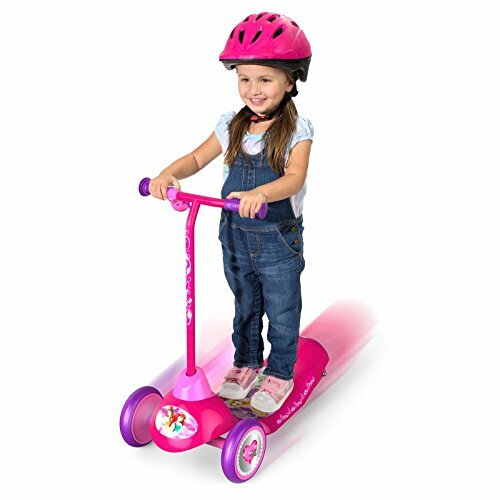 Perfect for the little princess in your life, this unicorn scooter offers two-in-one fun as either a three-wheeled scooter or hobby unicorn horse for make believe play. Tilt-to-turn steering feature helps the littlest riders learn to perfect their riding skills. 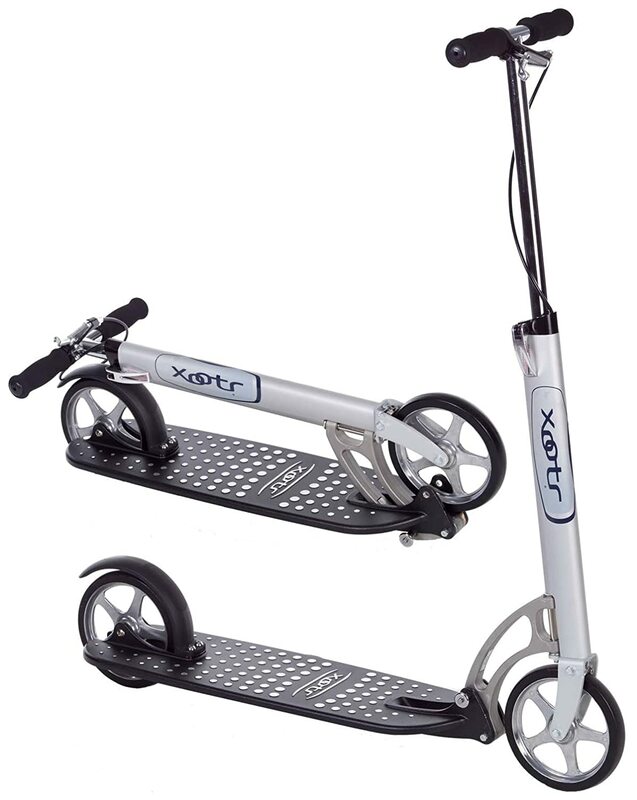 Xootr claims this is the most advanced kick scooter on the market, thanks in part to its solid magnesium deck and die-cast aluminum rimmed wheels. Thanks to its ultra-low deck height, you get the most bang for your buck with each kick forward. 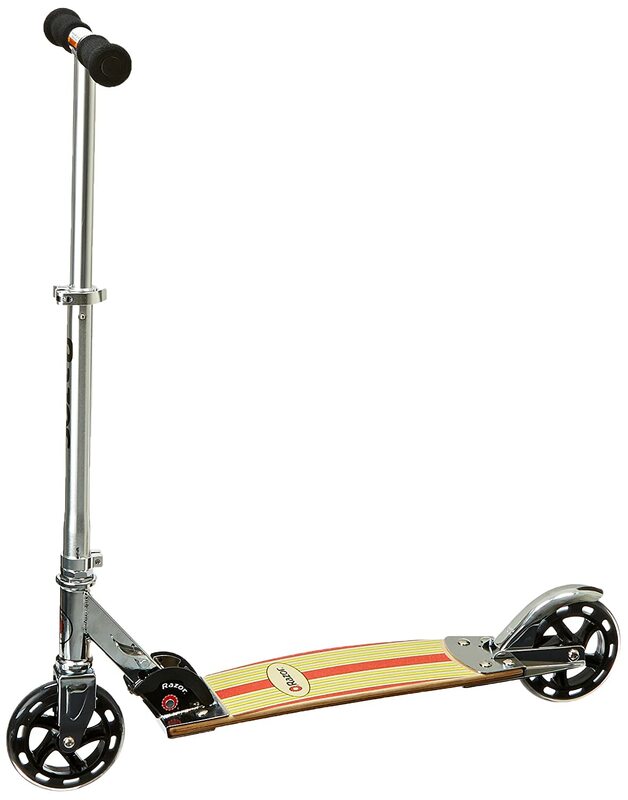 Available in two sleek colors, this kick-style scooter is suitable for those aged 8 and up, weighing up to 220 pounds. 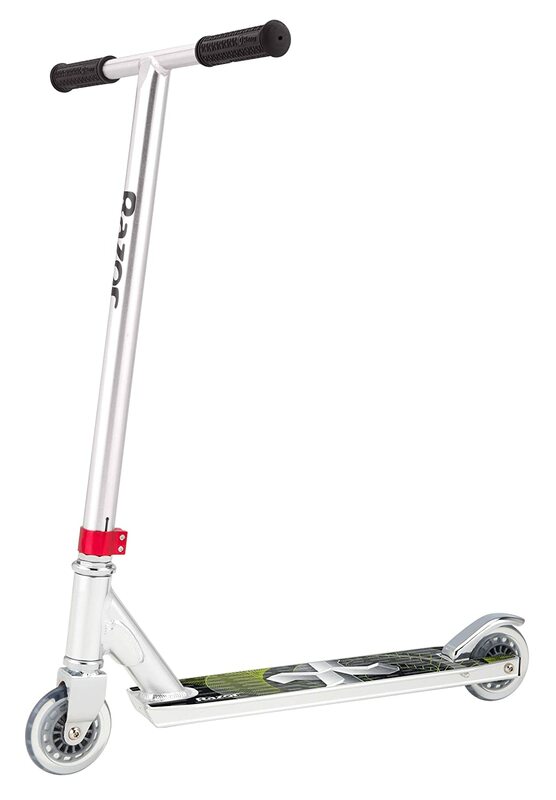 Its sturdy aluminum construction can stand up to even the roughest, toughest trick riders. 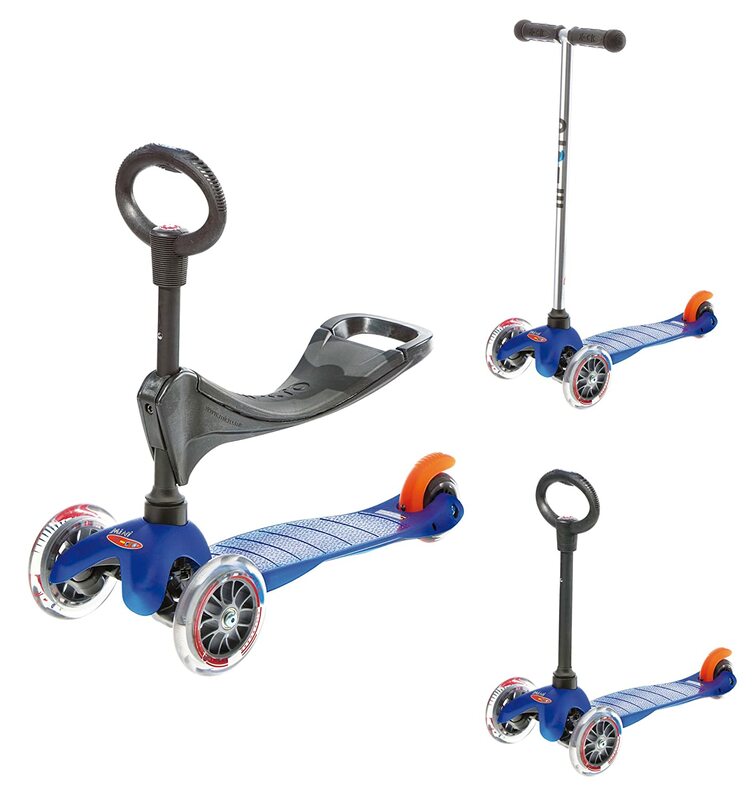 Suitable for riders aged 3 and up, weighing up to 43 pounds, this kick-style scooter features a very wide base and three wheels to provide the ultimate in stability for little riders. It’s foldable and lightweight for convenient storage and portability. 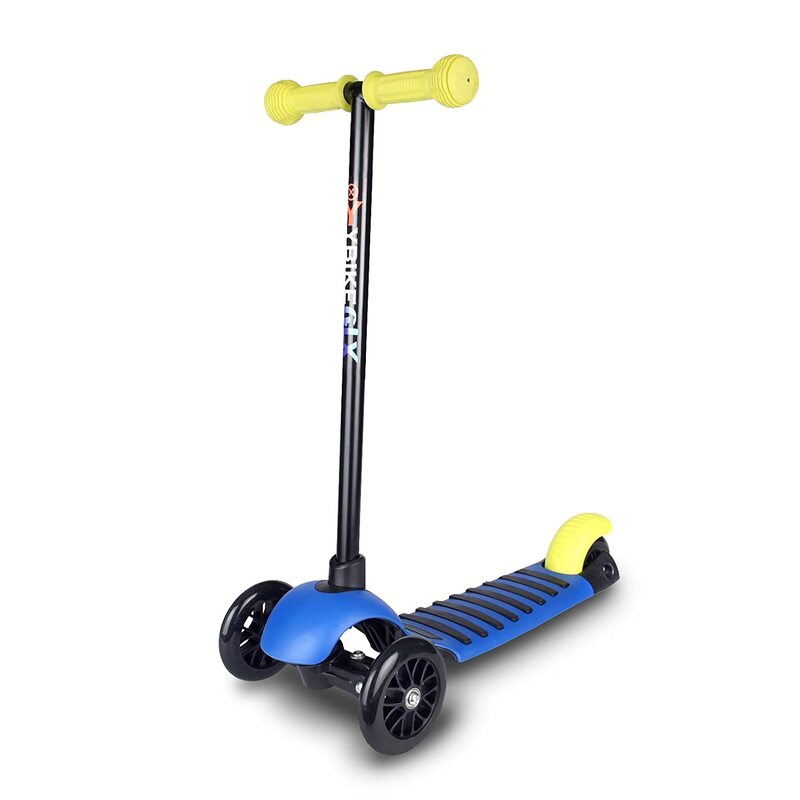 Designed and tested by professional riders, this scooter features a ‘dog bone’ design that allows the impact to be evenly distributed around the deck. Low profile wheels make for a smoother, easier ride and the stunning blue color is sure to make any rider stand out. 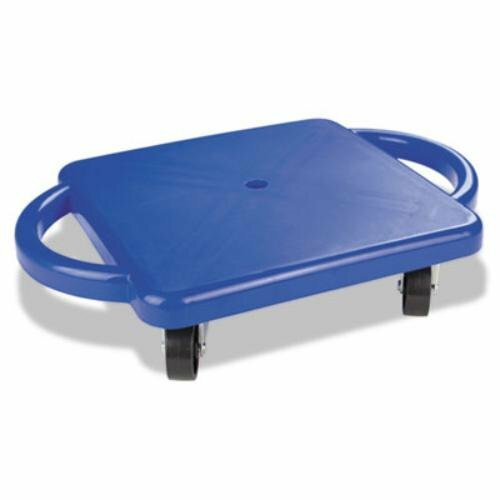 This classic scooter board was a staple in our gym classes growing up and provides youngsters with hours of sliding and gliding fun. 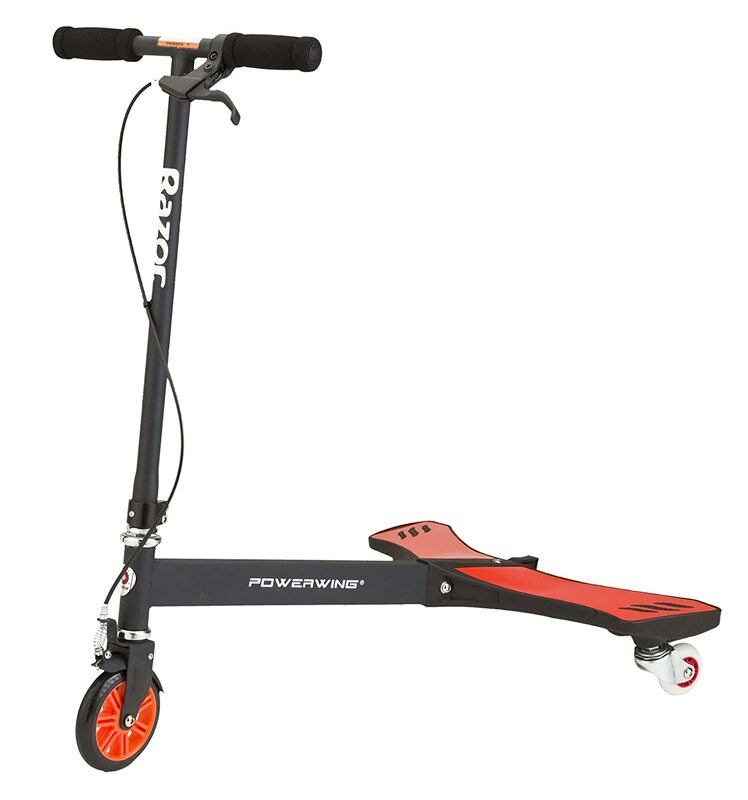 This electric-powered scooter is suitable for riders aged 8 and up, weighing up to 120 pounds and can provide up to 40 minutes of continuous use on just a single charge. Cruise at speeds up to 10 mph once your kickoff engages the motor. 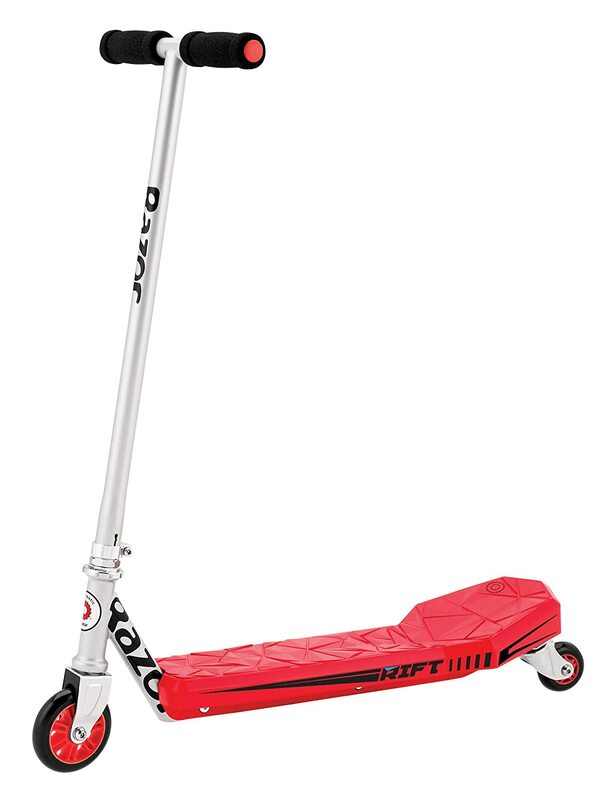 This kick-style scooter boasts a solid construction that is suitable for riders aged 13 and up. Every part on this scooter is completely replaceable, so it should last for as long as you want to ride it. Your little ‘Frozen’ fan will never want to let this scooter go. 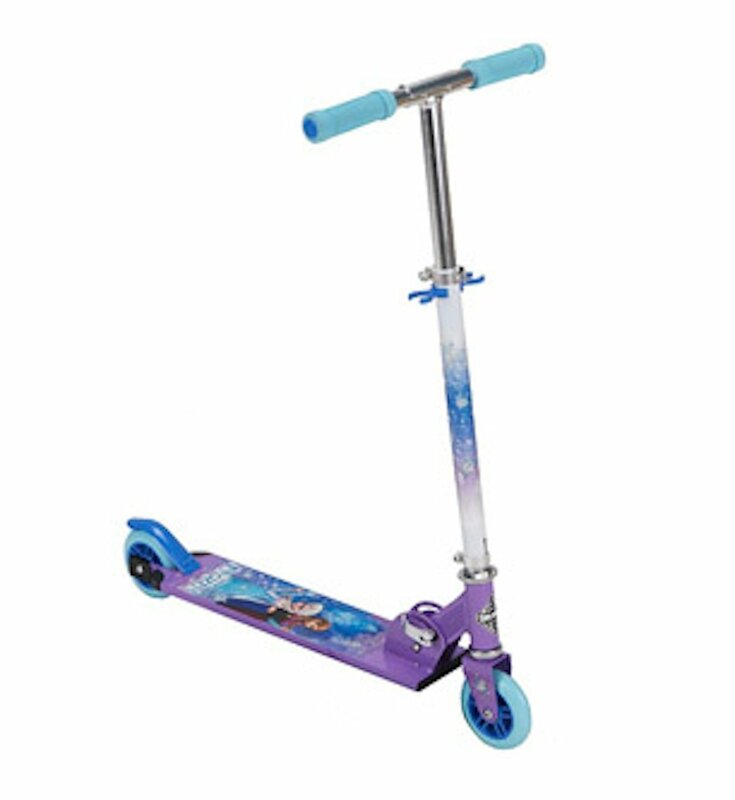 Suitable for ages 5 and up, this kick-style scooter features an ice princess theme that is sure to delight the Elsa fan in your life. 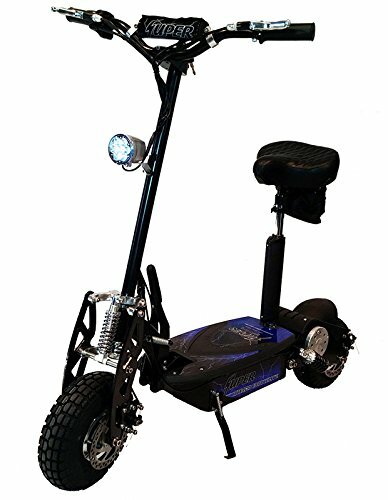 Suitable for ages 3 and up, weighing up to 50 pounds, this electric-powered scooter provides a smooth ride at speeds of up to 1.75 mph for up to 40 minutes of use on a single charge. A low, non-slip deck ensures your little one has secure footing. All eyes will be on whoever is rolling along on this rear-steering scooter that is suitable for those weighing up to 220 pounds. This hybrid bike-scooter allows riders to make 360-degree turns in tight spaces and features a built-in kickstand. 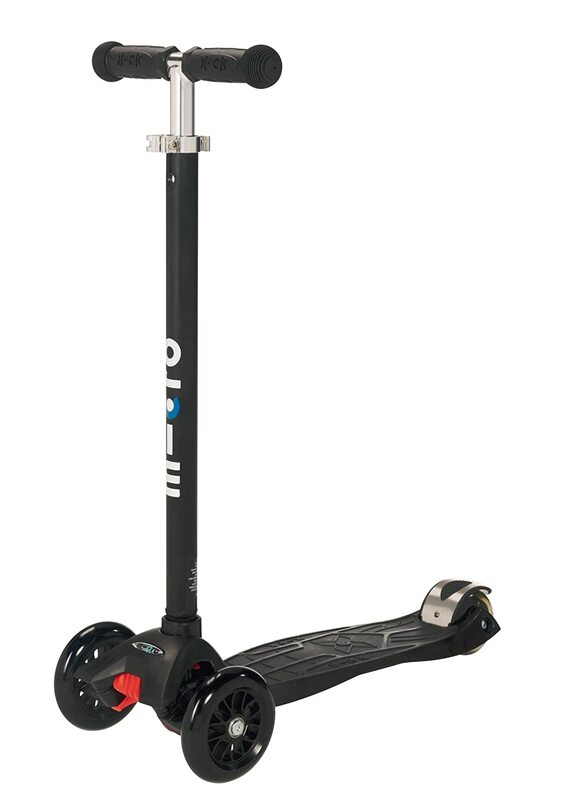 This Y-style scooter is ideal for those aged 7 and up, weighing up to 220 pounds. 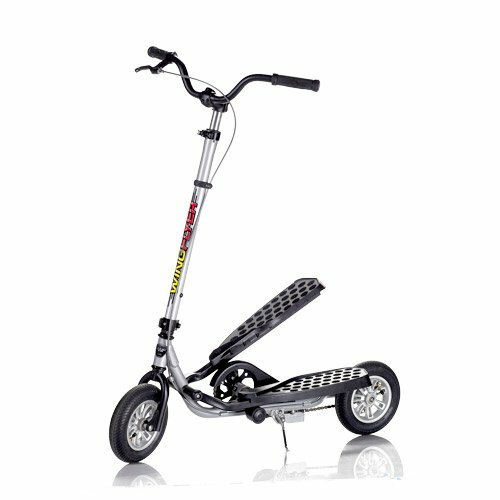 It features three wheels for increased stability and its side-to-side ride functionality is unlike anything you’ve ever experienced. 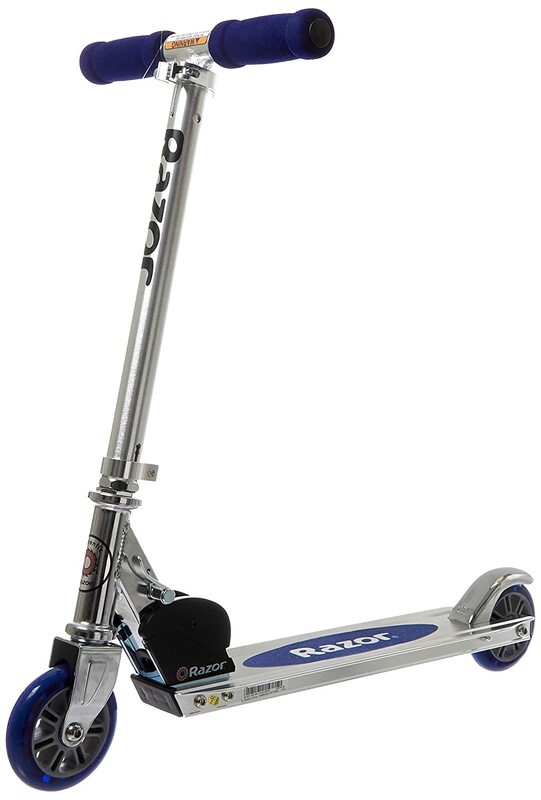 Not just cool to look at but also fun to ride, this scooter provides a decent workout for older kids and adults alike. Easy to assemble, the handle folds down for convenient storage or to fit in a car trunk easily.